"He is the new us! That's right, President Obama is in London tonight as the new emblem of the American people. He is us, just as - to the consternation of our allies and the often cringey-ness of his countrymen - George W. Bush was us for eight years....We've got Barack Obama as our President and Michelle Obama as our First Lady. We're all immensely proud....I thought about that scene for months, the first time they get to come as our American couple - to represent us, really in a new way, a kind of a sophisticated new leadership." "When they were both walking to the helicopter the other day, Marine One, there was something like, when he looked at her, you could just tell he said, 'Isn't this something?' You know, you could tell like they were experiencing the - I'm getting old here - the grooviness, the excitement of being this first American couple heading towards Marine One, which is cool in itself, heading from there to Air Force One, to a quick flight across the Atlantic, on your own plane, and to meet with the world leaders as, like, the centerpiece of the world....I'm saying it again, I'm getting a thrill....We agree, we girls agree. I don't mind saying that. I'm excited. I'm thrilled." "In just a few short hours, the President was able to do a diplomatic decathlon, packing in a week's worth of international diplomacy into 12 hours....America's unofficial royalty, the President and First Lady, reconnected tonight for more ceremonial duties, including a private audience with actual royalty, the Queen herself." - NBC White House correspondent Chuck Todd, April 1 Nightly News. "There's no denying that Michelle Obama is a rock star in America, but how is her style and personality playing abroad? Well, the early reviews are very good. The apparent love affair with the U.S. First Lady is flourishing in Europe....As America's First Lady embarks upon her first trip to Europe, the world is watching the royal family of the United States." - CNN's Alina Cho on American Morning, April 1. Reporter Keith Miller: "What the Obamas bring to Buckingham Palace is a charisma not seen since the Kennedys, when the First Lady, Jacqueline, dazzled the royal court." Vanity Fair's Victoria Mather: "This is going to be the most exciting encounter of her long and successful reign. I think she'll be absolutely fascinated." - NBC's Today, April 1. Correspondent Yunji de Nies: "A President on the world stage can write a new chapter in history....But one unlucky misstep [Onscreen video of George W. Bush trying to open a locked door] and everyone remembers, like the upset stomach of a President [video of George H. W. Bush throwing up in Japan] or an awkward moment between two world leaders [shot of George W. Bush massaging the shoulder of Angela Merkel]. Sam Donaldson remembers watching Ronald Reagan fight to stay awake at the G7 summit in Venice." ABC's Sam Donaldson: "He would start to fall asleep and Shultz would hit him and then he'd sort of fall asleep and Baker would knock him one. And, of course, we had to show that. We can be a mean bunch." 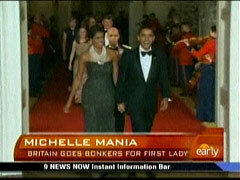 - ABC's Good Morning America, March 31, part of a package of reports on President Obama's trip to Europe. The piece included no supposed missteps by any Democratic presidents. "In 1961, when Jacqueline Kennedy came to Europe, she enchanted even the crustiest of world leaders, and she's remained a tough act to follow for every First Lady since. But Michelle Obama looks more than equal to the task of impressing and delighting even the grandest of them....To be honest, most Europeans were going to like whoever replaced President Bush. But there's no doubt Michelle and her husband have an extra je ne sais quoi." 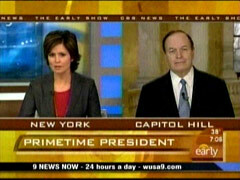 - CBS's Elizabeth Palmer on The Early Show, March 31. "From the moment the Obamas landed in Britain, hand in hand, many here were already star-struck....Here, they're calling it 'Michelle's magic.' There's the media fascination with her clothes...but awareness, too, that with her Ivy League education and relaxed, easy charm, she's impressive....She's been hailed by the fashion press as a modern-day Jacqueline Kennedy, who dazzled Brits when she met the Queen." - NBC correspondent Dawna Friesen on Nightly News, April 1. Correspondent Dawna Friesen: "Her husband is, of course, the big star of the show, but this is Michelle Obama's first foray on to the global stage as First Lady. And you can bet that her every move, her every fashion decision will be dissected and analyzed, especially when the couple go to meet the Queen. But she's got a lot of good will on her side." Video of Michelle Obama shown as Andy Williams sings: "You're just too good to be true/Can't take my eyes off of you." Friesen, as song continues playing in background: "Ask the British about Michelle Obama, and you'll hear a lot of what you hear in the states." Woman on the street: "Oh, I think she's really cool. She's got a lot of really good styles. It makes a change from politicians' wives to look good." Man on the street: "She looks supportive and that's what a man needs in life." Friesen: "Then there's those arms, the envy of a lot of British women...."
- MSNBC's David Shuster filling in as the host of Countdown with Keith Olbermann, March 23. "When I heard he was going to do this, I thought, 'Should a President really do that?' Then I actually stayed up and watched it and he calmed me down. I've really been getting pretty upset in the last week, just like every other American I think. And he calmed me down. And he was presidential. I thought it was just a masterful performance." - NPR's Nina Totenberg on Inside Washington, March 20, talking about President Obama's appearance the previous evening on NBC's Tonight Show where he joked his bowling ability was "like the Special Olympics or something." "Have You Lost Any Friends, Yet?" "This week I went down to Monticello, Thomas Jefferson's home, where they have this wonderful new visitor center. And one of the historians down there reminded me that Thomas Jefferson once said the presidency is a 'splendid misery.' But at the end of his term, he also said, quote, that 'the presidency had brought him nothing but increasing drudgery and a daily loss of friends.' I just wonder, have you lost any friends yet?" - Bob Schieffer interviewing President Obama on CBS's Face the Nation, March 29. "I thought the President was confident as he always is, Robin, and very straight. You didn't see a lot of laughter that we saw on Jay Leno. It was much more like a law seminar. The President used to be a law professor. But, he was focused on the job he had to do last night, which is to sell this economic strategy....I would say overall, though, a good performance, about an A-minus." 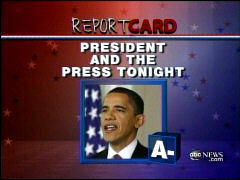 - ABC's George Stephanopoulos grading President Obama's press conference on Good Morning America, March 25. "He had a very clear strategy, and that was to tell the country that he has a strategy, he has an economic strategy, that it's starting to work....The press also did do their job tonight, pressing the President on issues that people back home really care about and most of the questions about the economy, about the economic crisis we're facing right now....A-minus for the President, A-minus for the press." - Stephanopoulos on Nightline following Obama's press conference, March 24. "What Good Does It Do" to Criticize Obama's Deficits? Senator Richard Shelby: "We had a deficit, but nothing like this....This is scary. I believe we've reached the tipping point now....We're looking at inflation and financial and economic destruction. We cannot go down this road." Co-host Maggie Rodriguez: "But it looks like we are, and what good does it do the American people to point that out? Why not work with the President to try to reach a compromise?" - Exchange on CBS's The Early Show, March 25. "Good evening, everyone. The Treasury put out the details today of a plan to rescue America's banks, and Wall Street responded with two thumbs up and a triple-digit rally. The Dow gained nearly 500 points or nearly seven percent. That is the fifth-largest point gain ever...."
- CBS's Katie Couric opening the March 23 Evening News. "What was the reaction at the White House yesterday when the stock market closed?...There's been a lot of heat, though, aimed at the White House, aimed at the Treasury Secretary. Was there some degree of vindication?...You have to admit, it's a pretty good day, though, when the stock market goes up 500 points...."
- Co-host Harry Smith to White House press secretary Robert Gibbs on The Early Show, March 24. Washington Post's Lois Romano: "I think it's bizarre and I think it's judgmental...."
Matthews: "Why does everything sound like the 700 Club with this party now? I mean, everything seems to be a religious discussion." 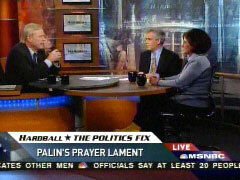 - MSNBC's Hardball, March 26. 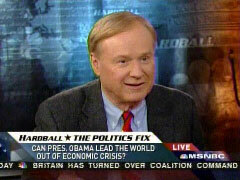 MSNBC: "How Offensive Can Rush Limbaugh Be?" "Plus, the nutty rhetoric continues from Rush Limbaugh, Michael Steele and Sarah Palin....How offensive can Rush Limbaugh be?...No longer content with wanting the President to fail, Rush is now calling out Mr. Obama as a girly man." - MSNBC's David Shuster on 1600 Pennsylvania Avenue, March 30. "Ninety percent of the guns used by the [Mexican drug] gangs come from the U.S., including the powerful assault weapons that were banned until Congress and the Bush White House let the ban expire. [to Hillary Clinton] Why not take that on? It would be tough, but why doesn't the administration challenge the gun lobby and take on the assault weapons ban and reinstitute it?" 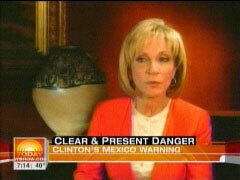 - NBC's Andrea Mitchell in a report on the Today show, March 26. Gun Buyers "Not Rational," Maybe "Paranoid"
"Here in Tyler [Texas] and other parts of the country, there's been a run on ammunition. One man ran into a Wal-Mart and said, 'Sell me all the ammo you have.' Guns - they're also flying off shelves. Those highly prized semiautomatic rifles are becoming more and more expensive....A run on guns because of President Barack Obama. But since he has been President, he has said, quoting here, 'I will not take away your guns. '...It may not be rational at all. It might even be paranoid. But one thing is certain. Many gun owners believe this President is somehow out to curb their rights and they're stocking up just in case." - CNN reporter Sean Callebs on Campbell Brown: No Bias, No Bull, March 27. Reporter Clarissa Ward: "This is the Obama workshop at the Kaplan English School in Japan. Every week, as many as 200 students attend....They learn the President's speeches line by line, reciting them to their teacher, Makoto Ishiwata....Ishiwata has also used speeches by Martin Luther King and John F. Kennedy for his classes, but he says his students are particularly inspired by the message of Mr. Obama....Ishiwata knows almost all of Mr. Obama's speeches by heart, down to the cadence and hand gestures." Makoto Ishiwata: "'To win the war, secure the peace and earn the respect of the world.' At the time when I first heard this, I almost cried." Ward, clapping: "I just have to give you an applause there." 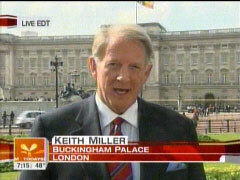 - ABC's World News, March 31. "Brit Hume's dumbfounding admission: He was fed a buffet of daily talking points by an ultra-conservative media site and, quote, 'we certainly made tremendous use of it. '...Brit Hume admits that for years he's been reading daily talking points from a lunatic-fringe right-wing Web site....An admission at a D.C. dinner last night as startling as if he had confessed to making up the news out of whole cloth or reading it off a Ouija board: 'I want to say a word, however, of thanks, to Brent [Bozell] and to the team at the Media Research Center and all the contributors for the tremendous amount of material that the Media Research Center provided me for so many years when I was anchoring Special Report. I don't know what we would have done without them. It was a daily, sort of a buffet of material to work from, and we, we, we certainly made tremendous use of it.'" "Turning off the lights won't solve the problem, obviously. But in the same way that the march on Selma, Alabama was a symbolic gesture for the civil rights movement, I think those who care about climate change and carbon mitigation...are trying to find ways to symbolically demonstrate the unity of purpose around the planet." - Actor Ed Norton on NBC's Today, March 27, promoting the gimmicky "Earth Hour" when people turn off their lights for one hour to promote awareness of global warming.